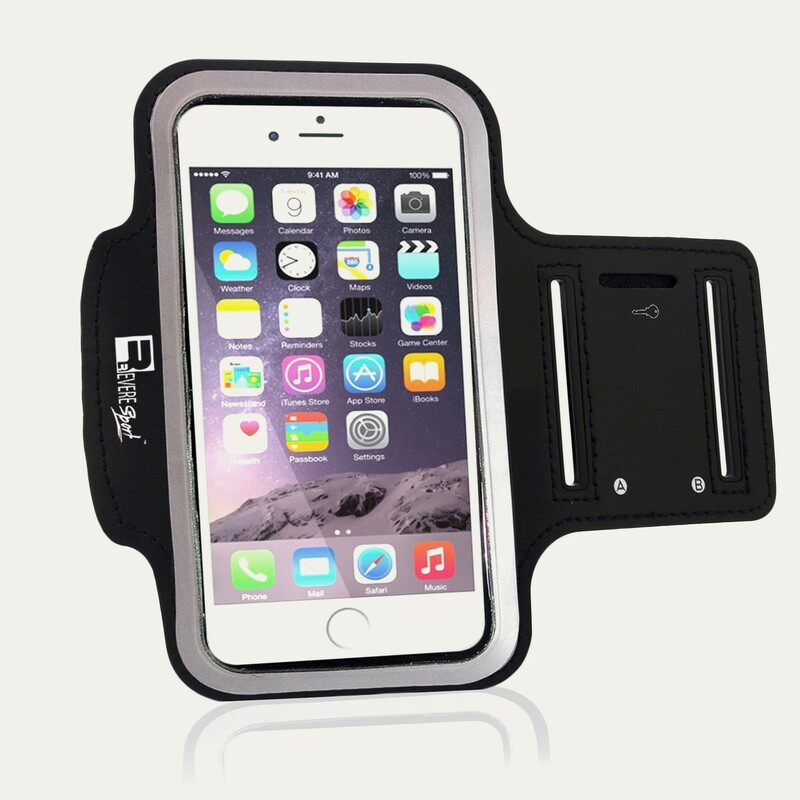 The RevereSport iPhone 6 Plus Armband 'Elite' is constructed for a secure and comfort-fit. 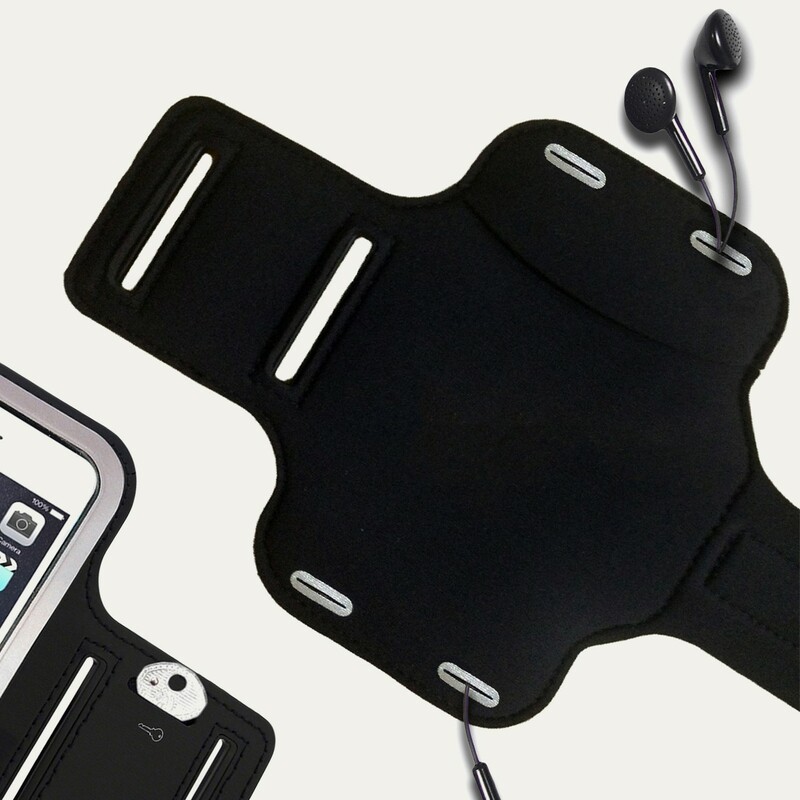 Made from a soft, strong-grip, neoprene fabric, the arm strap prevents rubbing and stays put during vigorous exercise. Exercise distraction free, a key pocket has been added to carry your house key or gym locker key. Whatever the workout, the Elite Armband is your perfect fitness companion. 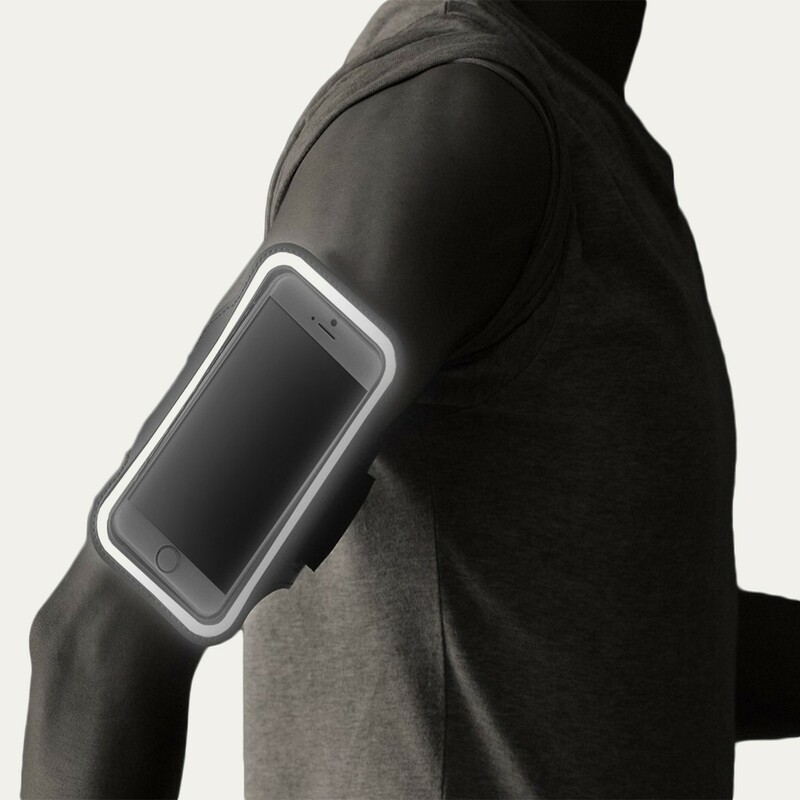 The Running Armband 'Elite' is a convenient way to carry your smartphone during exercise. 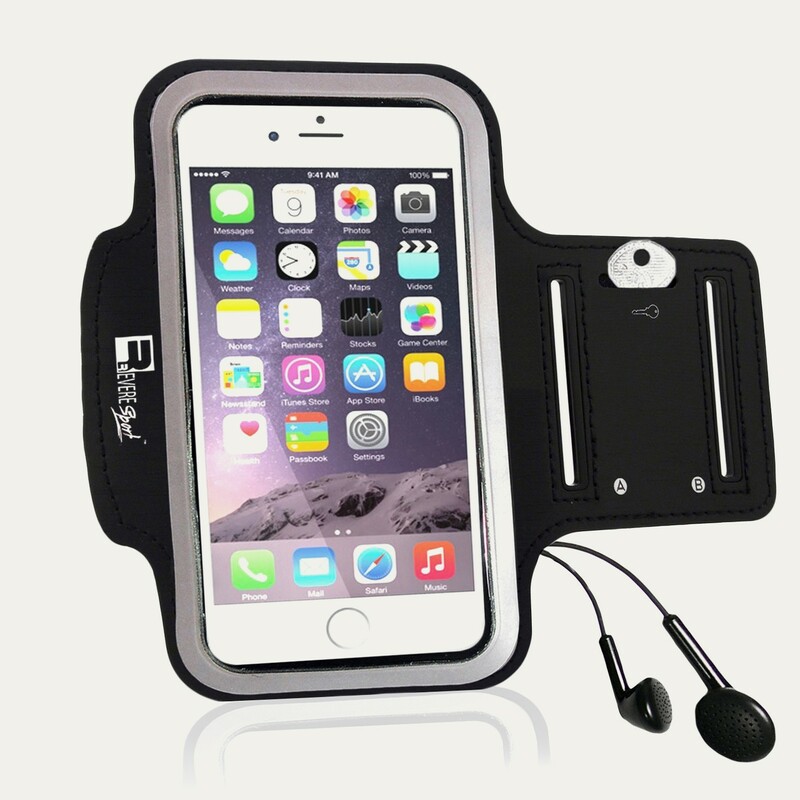 Simply put your smartphone inside the Armband Case, strap up and you're set to go. 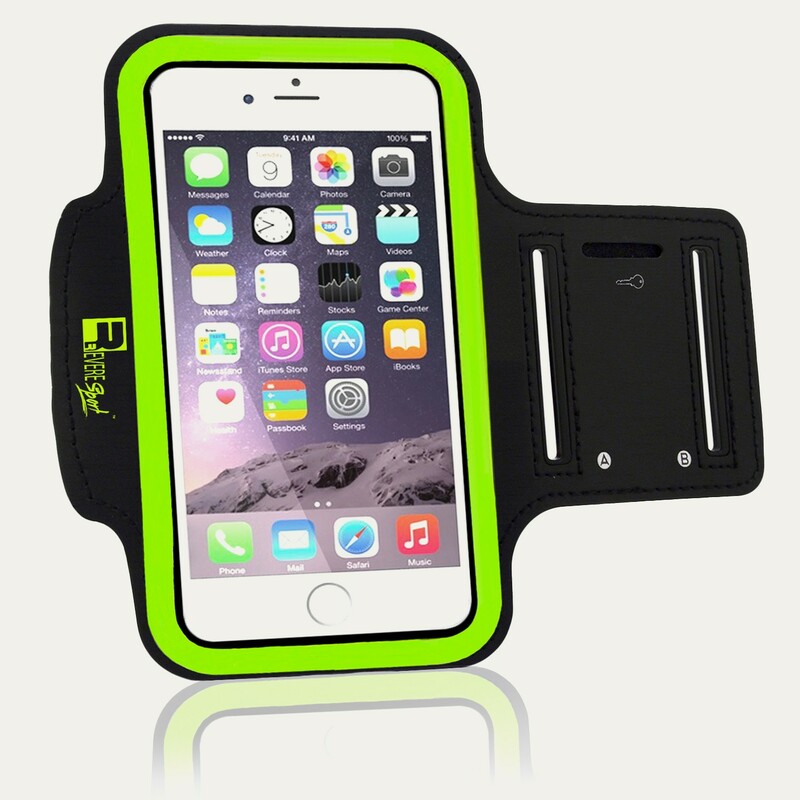 The iPhone Armband is designed to hold the iPhone 6 Plus perfectly with a slim case ON. The clear Touchscreen cover allows effortless screen access so you can change your music or operate your running apps without removing your device. Secure, lightweight, sweat resistant and easy to function. At RevereSport we care about YOU. We are so proud of our products that we stand by them with a 30-day money back guarantee and a LIFETIME replacement guarantee. If for any reason, you are unhappy then we are here to make it right for you. The Warranty covers any defect in the product or workmanship, it does not cover what you had inside or general wear and tear. 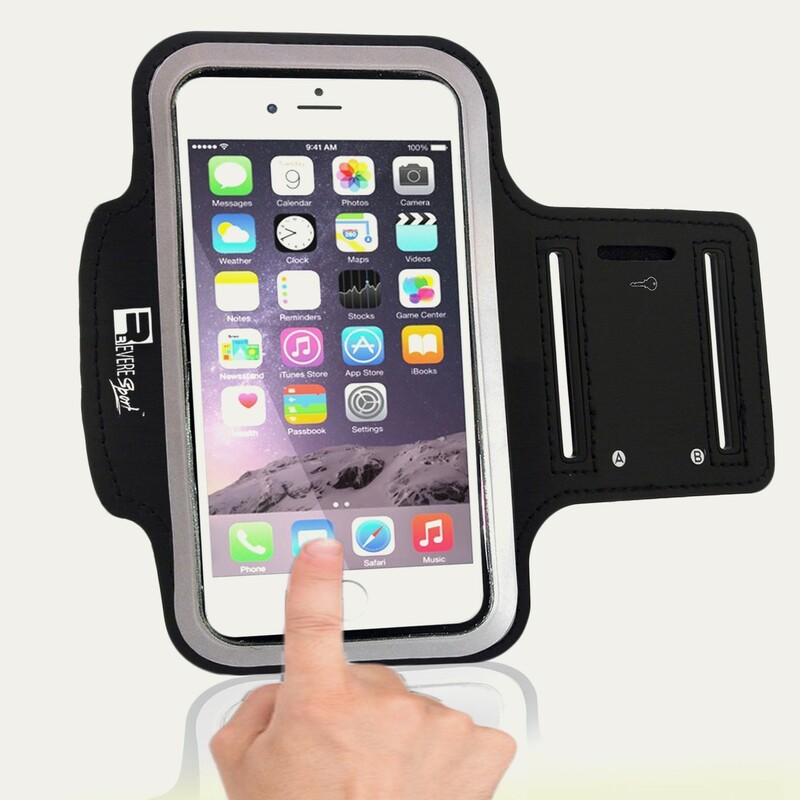 Finally an armband for my Iphone Plus! 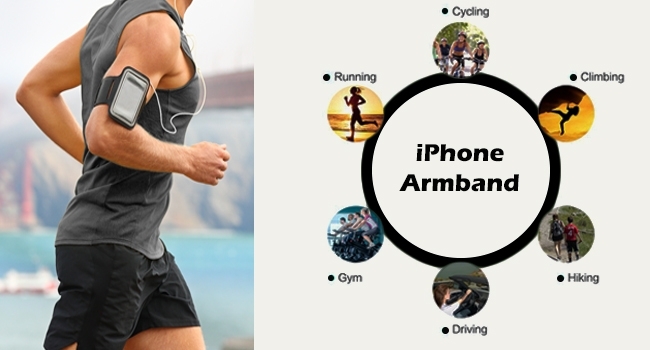 Finally an armband that fits my iPhone 6 Plus! So pleased I can start listening to music again during my daily run. 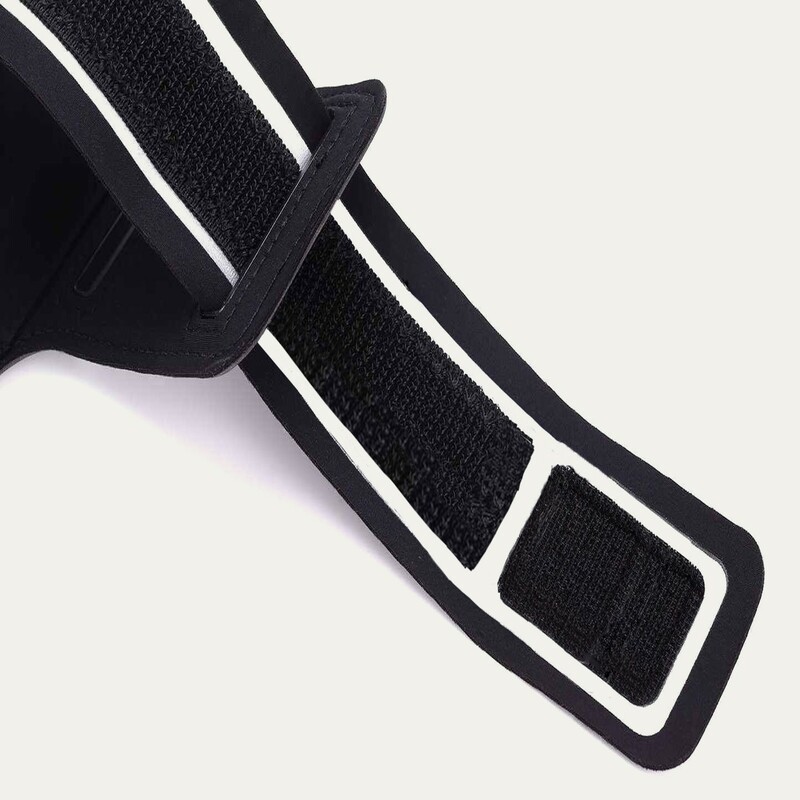 The strap and Velcro stays put around my arm and doesn't need to be re-tightened like other armbands I've tried. Fantastic price too!